← What’s With Kids These Days? Sorry if the title irritated you. Because we’ve all experienced kids ‘fighting‘ sleep and we ‘know‘ they’re fighting it, right?? And, OMG, is it annoying!! But, are they really fighting it, or is there something else going on? My oldest daughter would have been dumped in the category of one who ‘fights sleep‘. Honestly, from the day she was born, those beady little eyes would pop open and STAY open for way longer than I thought was humanly (or newbornly) possible. She’s 8 years old and she still has the tendency to want to know what’s going on at every moment of the day. She would rather walk around with her eyes hanging out of her head than admit she’s tired. Aren’t a lot of kids this way? But… when she gets like that I know there’s something going on. Sleep is a natural phenomena and it can should happen easily, without any tricks or training. There are a few things that a child needs in order to easily drift off to sleep. Sometimes, our modern life does not lend itself to good sleeping. By trying to make our kids independent and through overstimulating, etc. our kid’s sleep can suffer. Kids need to be tired. This sounds really stupid. But it’s important and this is where sleep schedules don’t always work. If you’re trying to put a kid to sleep that isn’t even tired, you can just about forget about it. Can you go to sleep if you’re not tired? No. And neither can babies. Kids need enough exercise to make them tired too. Even babies need a certain amount of exercise, in the form of wiggling, rolling, climbing, crawling, in order to get tired. If you follow ayurveda, there’s this energy called ‘tamas‘, and without it, you literally cannot fall to sleep. Kids need to feel safe. If the child is scared of being alone in a room, or fearful of something (like the dark), it can be preventing her from falling to sleep. If she knows that you’re going to leave the room, it’s going to make it harder for her to fall to sleep. 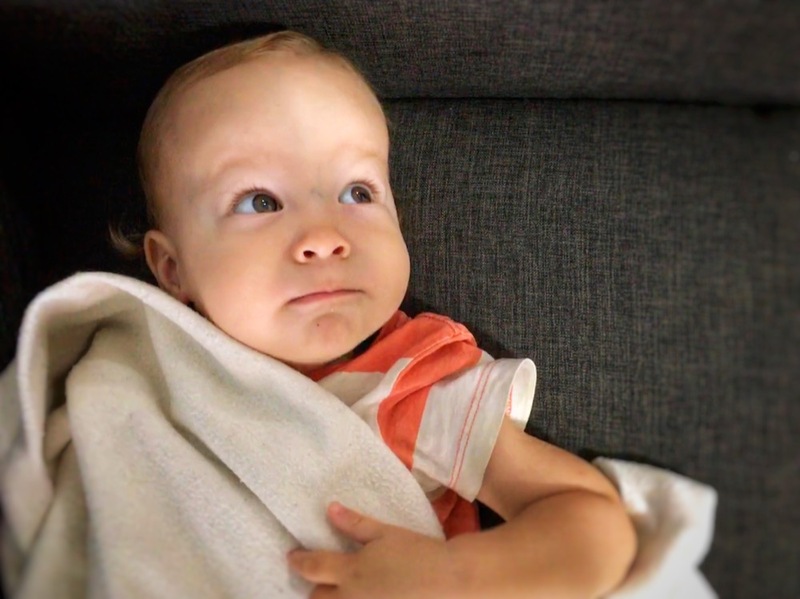 There are lots of things to try to give kids a safe space to sleep in, but some things NOT to try are things like cry-it-out, ferberizing and banishing kids to their rooms when they’re overtired. Studies have proven that when a child’s cries are not attended to, there can be long term problems. Kids need to feel connected. A child who feels connected to his carer, will fall to sleep much more easily. A lot of times, kids get really silly and playful before naps or bedtimes. Often we just end up getting annoyed or trying to ‘work them down‘. We’re afraid that if we get silly at this time, they will get more worked up! But, the opposite is true. Playfulness before bedtime (even rough and tumble) can be such a great outlet of energy and also for laughter and connection. And… sometimes they cry when you call the playing quits. And the crying is also a good thing that leads us to the next point. The child needs to release pent up emotions. This is probably the biggest reason why kids seem to ‘fight‘ sleep. Think about it… can you fall to sleep if your mind is racing, or if you’re upset about something or if you’re overstimulated? No… and it’s the same for a child. There are lots of ways to make sure that a child has released his emotions. One of the ways is to allow the emotions to come out through the day, in the form of crying and raging, when they get upset and frustrated. If the child hasn’t had the chance to release these emotions, she may find it hard to fall to sleep. One thing you an do, especially with babies, is to simply hold them in your arms, look them in the eyes and ‘listen‘ without interrupting with breastfeeding/bottle or dummy or by rocking or patting. They will most likely cry. And, after they cry, and if they’re tired, they will almost certainly drift off to sleep. If you want to learn more about how crying and emotions are link to better sleep, I highly recommend reading the book “Tears and Tantrums” by Aletha Solter. If you ask my mother, she will tell you that I was the biggest sleep fighter of all!!! And, I remember it! I remember sitting lying down on my cot in preschool and kindergarten and being SOOO tired, but not being relaxed enough to fall to sleep. It used to get me really upset! And, as a teenager, it would sometimes take me up to 2 hours to fall to sleep. It’s not wonder that after I started daily meditation, at the age of 19, that I haven’t had a major problem with sleep after that. My kids now have a really hard time going to sleep when they have pent up emotions. Usually, after a big cry or a big rage, they have a much deeper and more peaceful sleep. There are other reasons why a child might not be able to sleep. They could include diet, screens, imbalances, illness, etc. This list is just a start, but some of the biggest and most often overlooked reasons why a child ‘resists‘ sleep. Posted in Aware Parenting, Sleep. Bookmark the permalink.